While building their startups, the founders in the SheStarts program have access to many specialist advisors and experts through BlueChilli. One of our amazing advisors is Mina Radhakrishnan. Mina has studied both computer science and cognitive science, she has over 15 years of experience in product management, and she’s worked for giant companies like Goldman Sachs, Google and Uber. When Mina Radhakrishnan decided to leave Uber as their Global Head of Product, the options of what to do next were plentiful. Having started out as employee number 20 in the company, Mina experienced first hand what it takes to create a tech product with a massive impact for hundreds of thousands of people. In deciding her next step, Mina knew she wanted to use her skills and experience to create a product for everyday people. 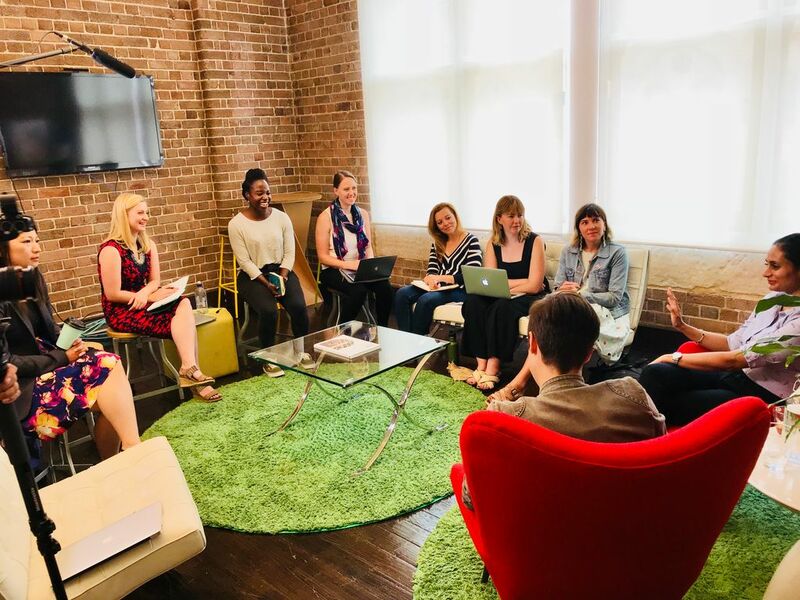 When a family member went through a terrible property management process, she decided to dig a little bit deeper into the problem and soon enough, her startup Different was born. Mina came in for a fireside chat with the founders to share her learnings about all things startups, tech, and product. 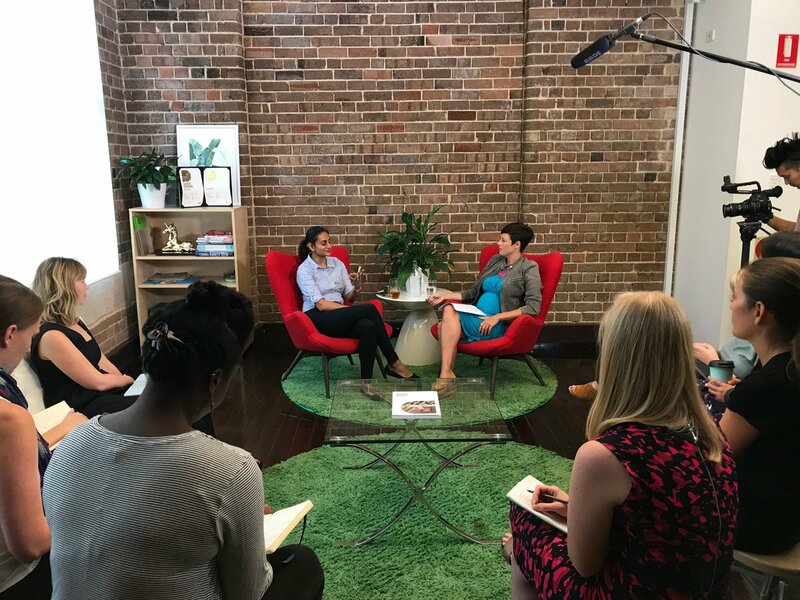 Mina Radhakrishnan speaking with Colette Grgric, Chief Innovation Officer at BlueChilli, with SheStarts cohort 2. A tech business is not only about technology, it’s about people & processes too. Mina Radhakrishnan speaking with SheStarts cohort 2 at BlueChilli in Sydney. When pitching, be authentic & tell a story. One point Mina would like every founder to understand is about competition: “Just because somebody else is doing something, doesn’t mean you can’t too, but make sure you know your competitors, understand what they’re offering and why you’re different. As the founder you need to have a vision, a direction where you’re ultimately headed. 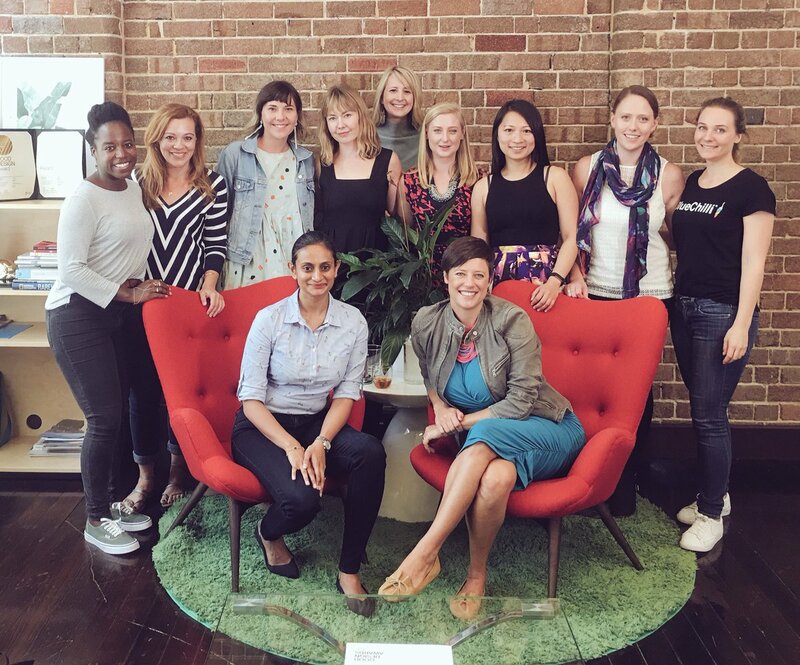 Mina Radhakrishnan with SheStarts cohort 2 and Colette Grgic, Nicola Hazell and Liz Derks from BlueChilli. Startups are all about breaking moulds and creating new possibilities. The startup world is trying to solve problems with the best possible solutions (that will often evolve), rather than trying to push our solutions onto problems. Mina suggests that we never ask, ‘can it be done?’ but rather ask ‘how can it be done?’ to focus on functional solutions. Mina encourages us to approach problems from the point of view that it is possible. Explore ideas, be creative and remove the boxes around your thinking.